Vincent is the Founder and CEO of The DeLorenzo Group. A Howard County Native and Baltimore City resident, Vincent is a highly driven person. He enjoys investing in real estate and has a knack for sales and marketing. Vincent’s business philosophy is that every client deserves integrity, diligent work, detailed follow-through, and commitment. He derives a great amount of satisfaction from seeing others achieve their goals. He is an expert in luxury properties and distressed properties. He has been a licensed Agent since 2007. Vincent works with home sellers through the entire process of marketing and selling their properties. 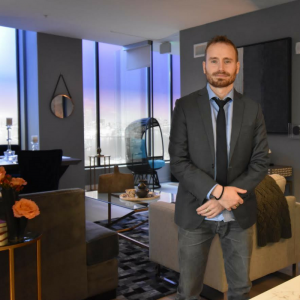 His process includes an intensive staging consultation, a detailed needs analysis, facilitation of the financial decisions to be made before listing, professional photography, and aggressive marketing. Vincent also oversees the activities and results of all members of The DeLorenzo Group. He also works with buyers and has always acquired phenomenal deals for his clients. Vincent loves investors and fist time home buyers as well. He believes the properties he acquires for his first time home buyers work well as a stand alone investment properties as well. Feel free to ask him how he can help achieve your real estate dream! Helping others achieve their goals is what really motivates Vincent. He believes anything is possible. He’s hiked to Mount Everest, raced motorcycles at Daytona, but most importantly, he’s always looking out for your best interests. Vincent likes to give back. He tries to save the world every now and again. Read about his little adventure here. He also enjoys restoring dilapidated homes to help build a better Baltimore. Traveling has always been a passion of Vincent’s. He’s been to over 50 countries and says his favorite place is the one he hasn’t been to yet. As of now Oceania and Asia rank pretty high. Victoria has been surrounded by the real estate business for the entirety of her life. 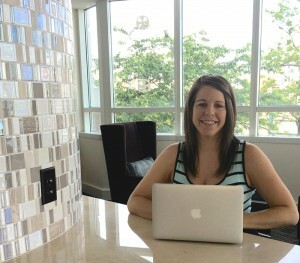 She was immersed into the world of real estate from all angles at an early age. Victoria recalls her childhood punishments consisting of stuffing envelopes for her parent’s mortgage and real estate businesses. Her work ethic and dedication to deliver superior customer service stands out. Born and raised in Baltimore, Victoria knows the city and county well. Bachelor’s of Science in Business Administration and Management from Towson University she brings an understanding of how to make a transaction run smoothly and has a sharp attention to detail. She loves animals, real estate, training dogs, has a horse named Chilli, and once traveled to Kuwait to rescue cats and dogs. Born and raised in Baltimore city Victoria knows the ins and outs of the city and county. From the best margarita in town to Baltimore traditions, she has the inside knowledge of the place many are looking to call home. Victoria is often seen taking photos and videos to help promote others. Whether it’s an iPhone, GoPro or Nikon she always has a camera in hand to produce a stellar image for her clients. 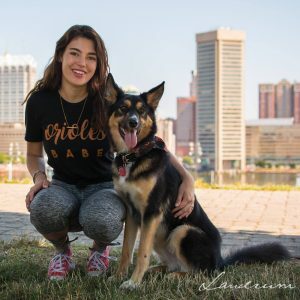 She is dedicated to a rescue organization, Wings of Love Kuwait, based in Baltimore but that rescues dogs from the streets and desert of Kuwait. With over a decade of experience as a licensed agent Michelle’s expertise will make your home purchase seamless. As a friendly and reliable client care coordinator, her goal is to make make the buying and selling process pleasurable and stress free as possible. Michelle works closely with our sales team to facilitate the sale process which sometimes includes, home inspections, appraisals, financing and repairs. The number of steps necessary to get a transaction to closing is staggering. Michelle greases the wheels, keeps everything going, while maintaining the barometer of our clients happiness as high as possible! Family is very important to Michelle. Outside her professional life shes finds it enriching to spend time with her loved ones, cook amazing meals and develop her new found practice of yoga. Michelle reckons if everybody in the world had a pet, the world would be a better, kinder, place. She very much finds solace in the company of her Labrador Retreiver Zoe and cat Leah. When it comes to organization there are few better. Michelle is always a step ahead in finding and implementing practical ways to keep everything connected and accessible. We work with home sellers and buyers through the entire process of marketing and selling or acquiring properties. We have a wide array of services depending upon our clients needs and budget. To achieve our clients goals as efficiently as possible use the most up to date technologies, give top notch customer service, and use the best vendors. For sellers the process sometimes includes an intensive staging consultation, a detailed needs analysis, facilitation of the financial decisions to be made before listing, professional photography, 3D Matterport virtual tours, videography and aggressive online and print marketing. The DeLorenzo Group also works with distressed sellers and short sales. We have plenty of experience buying and selling luxury homes from Bethesda to Baltimore. There has been a lot of movement in this market over the last year. Please contact us about a custom marketing consultation of your home, or if you are looking to purchase a luxury property we have acquisitions strategies that work and in depth knowledge of the local market. Let us know how we can help. Nothing is more exciting than buying your first home. It is important to have a seasoned agent diligently pursuing your dreams and goal and consulting you on the biggest purchase of your life. That is exactly what we do. We don’t want to just sell you any home. We want to find your dream home and make sure it is a great investment for you. I’ve certainly told buyers in the past “I will not sell you this home” when I think they are considering a bad decision. Our acquisition strategies, dedication, and honesty will make your first purchase a successful one you will never forget. We’ve sold hundreds of foreclosures and short sales over the years and have a high level of expertise in this field for sellers and buyers. Our services include helping sellers facing foreclosure, assessment of neglected properties, disposal of unwanted real estate, and estate sales. We truly care about our distressed clients and make the process as painless as possible while guiding them through the process. Over the years some of the most rewarding transactions netted us “0” commission but relieved distressed homeowners of their burden so they can move on with life. Often we have investors standing by who can make cash offers on properties. For our buyers we track the availability of foreclosures and short sales very closely and go over the top to help acquire these properties. We often attend various real estate auctions even on the court house steps. Our team has a high level of experience with investors and multi family properties particularly in the Baltimore City area. We know the values, good deals, and acquisitions strategies to make you successful. If you are a beginning investor we will get your prepared, if you are a seasoned investor be ready to move fast.